Two Factor Authentication is a lofty goal for any linux administrator. If you’re lucky enough to have access to an NetIQ eDirectory server, hardware based two factor authentication is closer than you think. Tutorial on how to use SSSD (pronounced Triple “S” D) as a cross Linux platform (RHEL, SLES, Ubuntu, et. al) authentication agent instead of painful and often times disparate pam_ldap and sudoers configurations. Centralized user and group management using existing directory infrastructure. Learn how centrally store SSH key and sudoer configurations in LDAP. No more having to copy your SSH key to each new server. Create a SSH Key based single sign on solution. Your sudo commands are authenticated against your Directory. Expand the configuration of SSSD clients for 2 factor authentication using a HOTP configured YubiKey that does not require any changes on the authenticating client. Integration with eDirectory. Explore SSO Kerberized options with Active Directory and MIT Kerberos. This account has read only rights to all the Users container in the tree. This can be limited down to only the required attributes but for the sake of time we’ll skip that. I may come back later and enhance this section. This will be our user to bind with inside of SSSD because I do not want to allow anonymous searches on the Directory. You will first need to ensure your LDAP server is capable of secure connections. You will then need the Public self-signed certificate or the Public certificate of your Certificate Authority. Upload the certificate to your client SSSD client. This will rehash all the certificates in that folder and will be useful later. 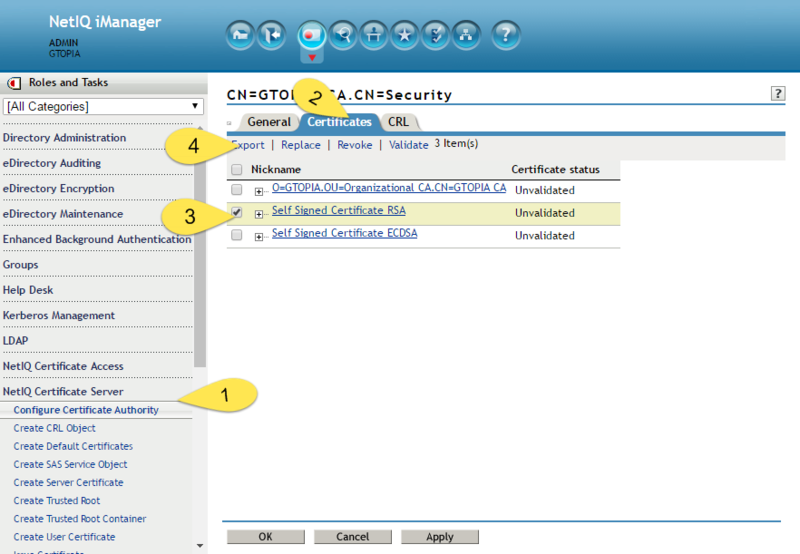 Now that certificate is available you can configure the system ldap.conf file to use that certificate. This shows the server can really talk to LDAP outside of SSSD. Confirms working LDAP and pathing. So troubleshooting from here forward we know is only in SSSD land. The schema must be extended before Attributes can be added, fortunatly the basic schema has been provided. susehost:/opt/novell/eDirectory/lib64/nds-schema # ndssch -h ldap.gtopia.org -t GTOPIA admin.gtopia rfc2307-usergrou p.sch Password: Logging into the tree as "admin.gtopia". Please Wait ... Extending schema, For more details view schema extension logfile: /root/schema.log NDS schema extension complete. Once that file is loaded into the ldap server then we can create SUDOERS rules in LDAP. Here’s a sample output of creating an LDIF from the sudoers file. sudoOption: env_keep = "LANG LC_ADDRESS LC_CTYPE LC_COLLATE LC_IDENTIFICATION LC_MEASUREMENT LC_MESSAGES LC_MONETARY LC_NAME LC_NUMERIC LC_PAPER LC_TELEPHONE LC_TIME LC_ALL LANGUAGE LINGUAS XDG_SESSION_COOKIE"
Create a sample user sudo command. Unless you’re using IPA, sshkeys in ldap cannot be done via sssd. There is a very useful readme included. Here is the Schema file suitable for loading sshPublicKeys into eDirectory.